Although my blog is quite new I have been looking forward to make cards with Tiddly inks images. The digital stamps are so cute that I love them all. Every two weeks they make a challenge and I decided to give it a try and make one card to participate. 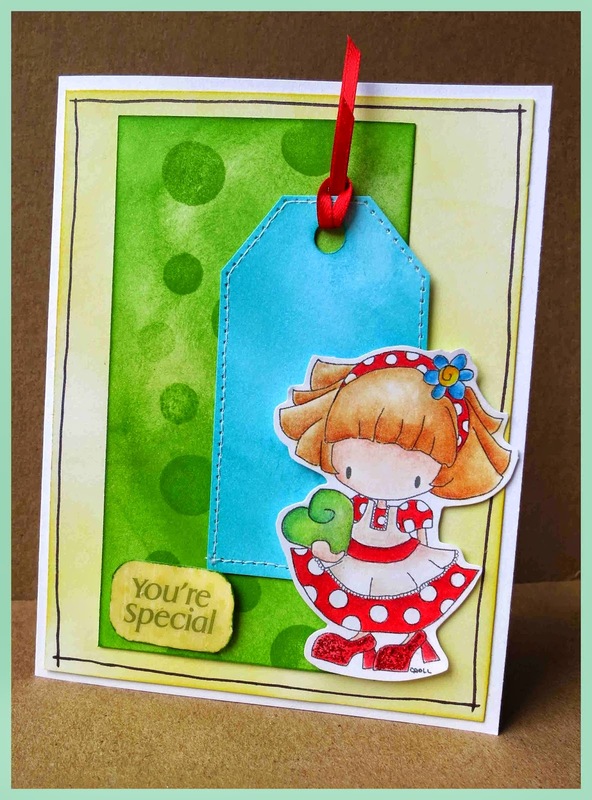 This challenge consists in making a card with the following sketch designed by Lou using any Tiddly Inks image. 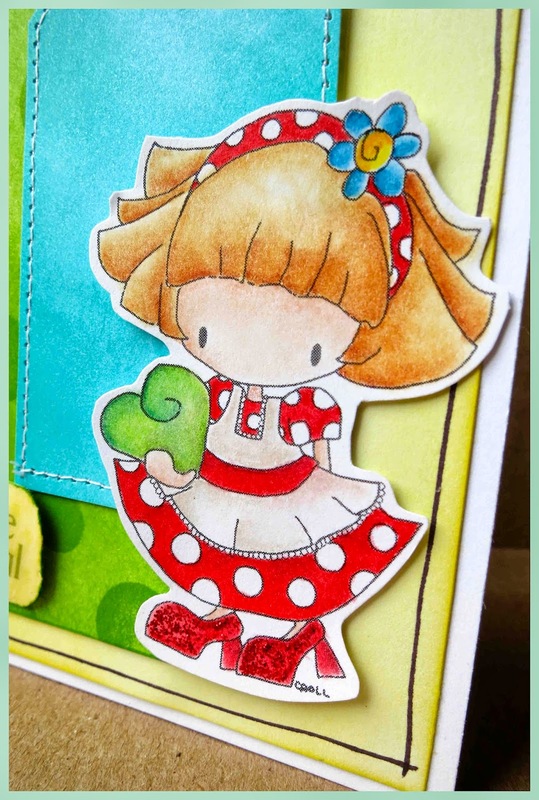 I used Annie's Heart digital stamp colored with Prismacolor pencils. The card is made in white cardstock but I colored with distress inks. I hope you like the result. oh thats just wonderful. I am always in awe at pencil colouring,it looks so soft and amazing. Very cute, and great to have you on board with the Tiddly Inks Challenges. Thanks for playing along! I am glad that you like it Faye! thanks!